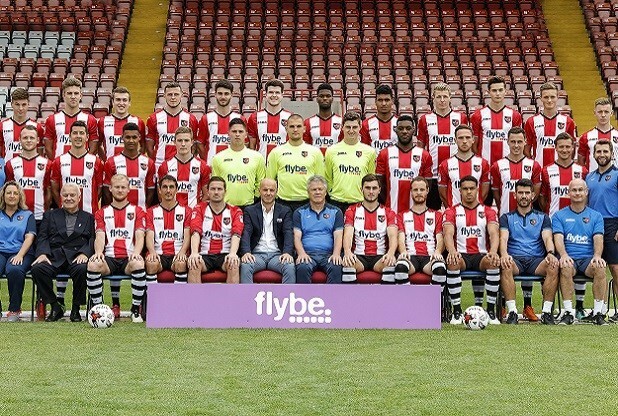 Squad Photograph from the 2016/17 season, where the Grecians finished in X th position in League Two. First Round: Luton Town (H), 1-3. First Round: Brentford (H), 1-0. Second Round: Hull City (H), 1-3. First Round South (Group Stage): Oxford United (A), 4-2, Chelsea Reserves (H), 3-2, Swindon Town (H), 1-1 (Exeter lose 4-2 on penalties). 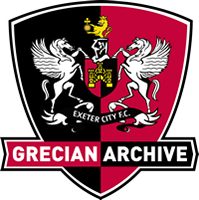 Exeter finish 3rd in group and are eliminated. City win 7 league matches in a row for the first time in 40 years. David Wheeler became the first player to score in seven consecutive matches. Ethan Ampadu became the youngest player ever to play for City, aged just 15 years, 10 months and 26 days old. This beat the record previously set by Cliff Bastin in 1928.